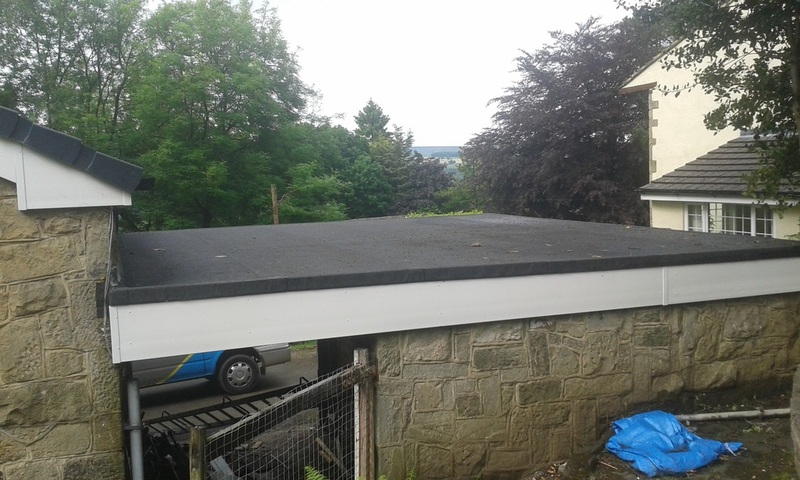 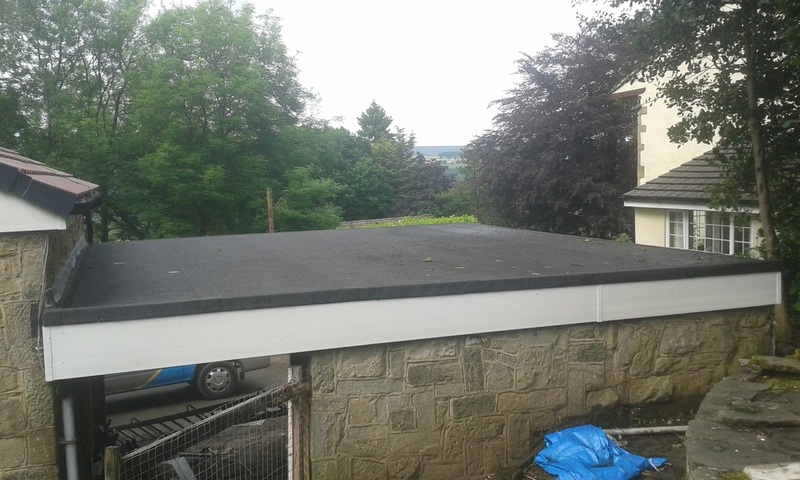 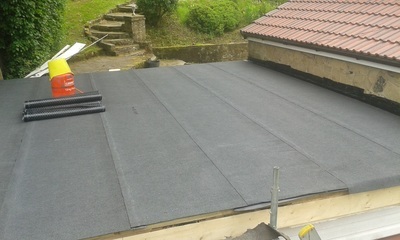 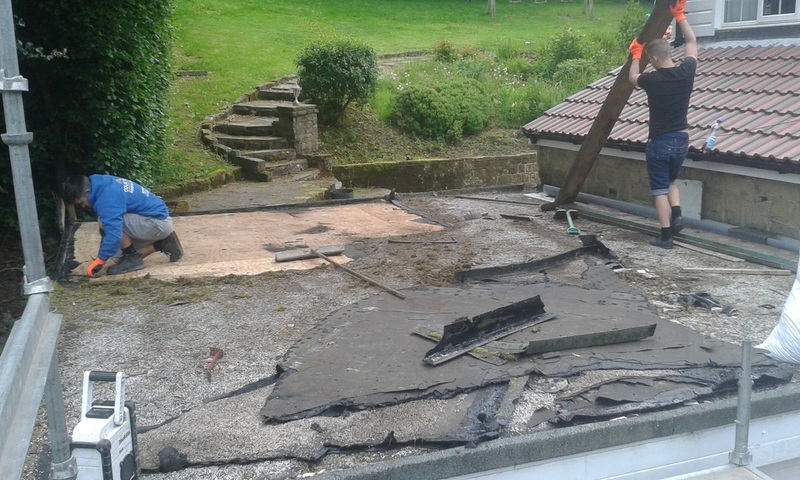 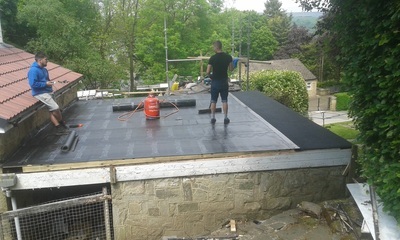 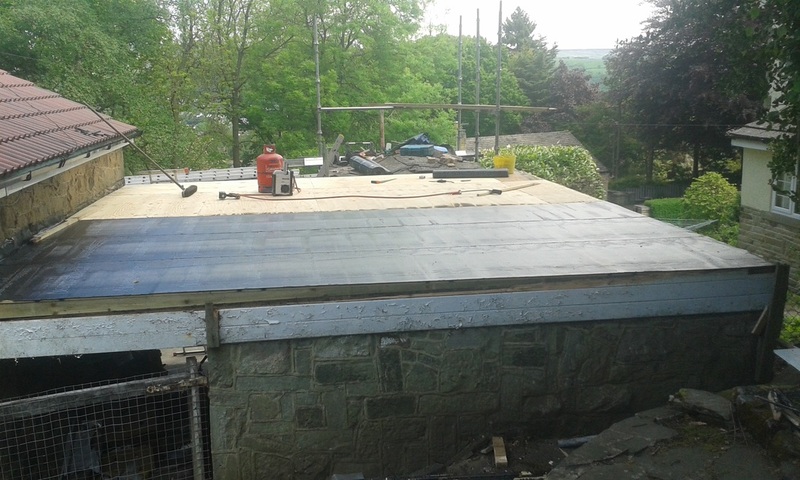 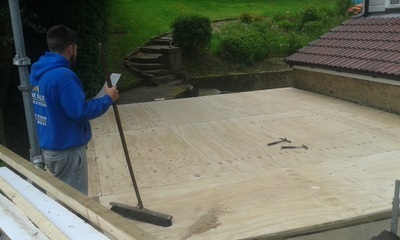 ​Before, during and after pictures of the replacement of a flat felt roof. Ilkley, Yorkshire. 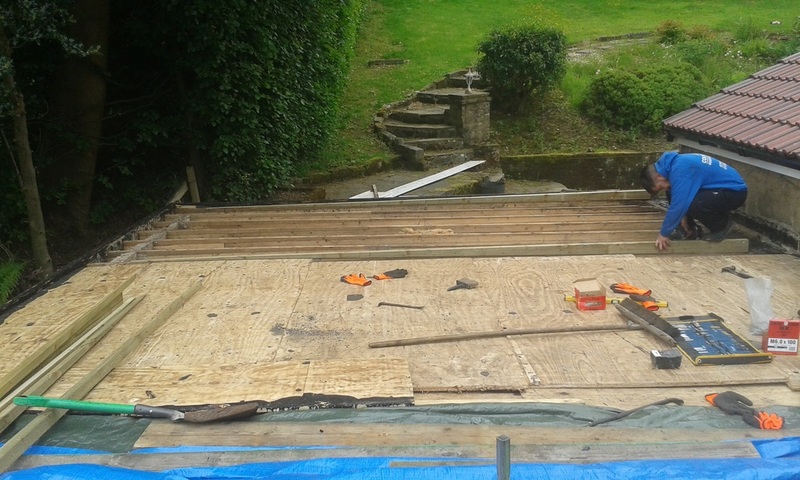 June 2016.